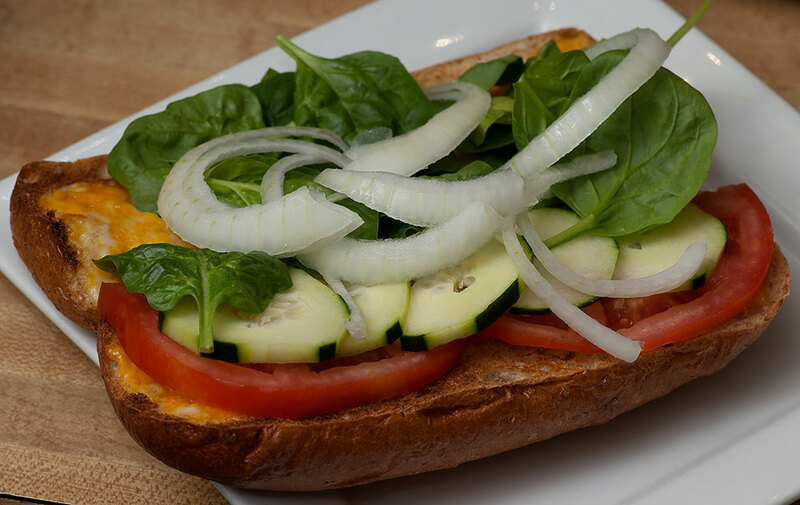 This is a delicious, nutritious sandwich I made with cucumbers, onions, tomatoes, spinach, cheese, and mustard on a whole wheat roll. My wife Abby spotted some nice whole wheat sub sandwich rolls at Wal Mart the other day, so much of this week’s dining has been in one iteration or another of sandwich. Stick it into the web, give it a twist, then pull, and out comes the web and the worms that made it. I made this tool from a broom handle and a shelf bracket. 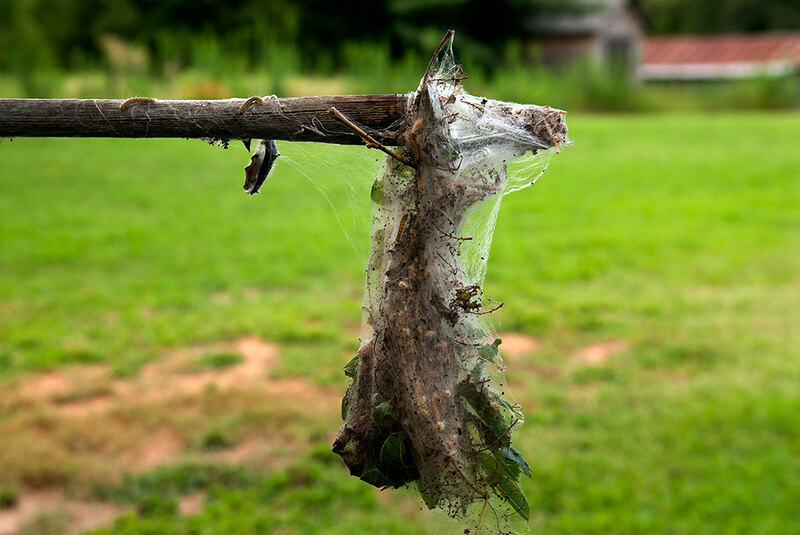 After dinner tonight, I tried to devise an apparatus for removing webworms from hard-to-reach branches of trees on the patch. Every Oklahoman knows these ugly parasites that weave thick, sticky webs on hardwood trees while consuming all the green within. The webs are tough enough that the birds can’t get to them, so I decided to fashion a stick with a metal tool on the end – a shelf bracket, actually – that would allow me to stick-twist-pull to remove the mess from the branches I could not otherwise reach, and it worked pretty well. 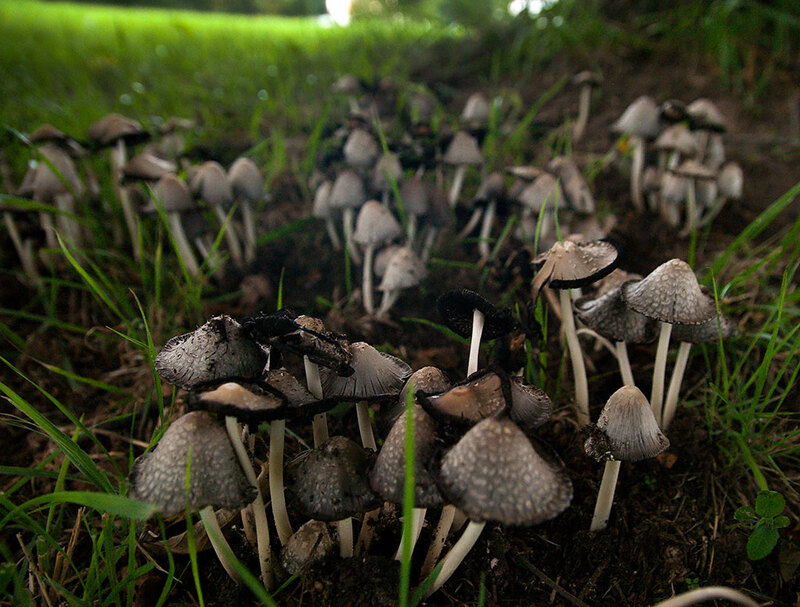 Later when I was mowing near the old walnut tree, I came across a lovely, funny stand of mushrooms that I’d never seen before, and photographed them. Nothing indicates a healthy ecosystem like a stand of mushrooms like this one under our walnut tree tonight. 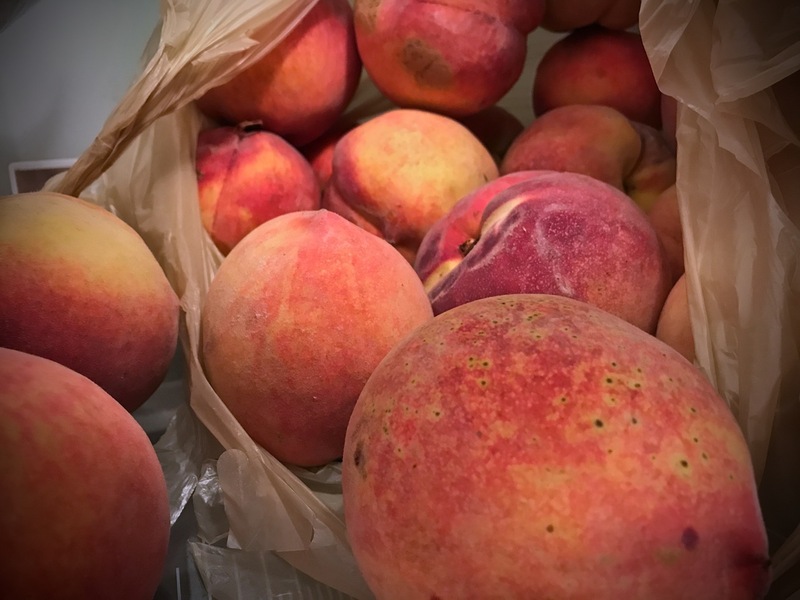 Also, today was the Stratford Peach Festival, and while the local farms didn’t have much to offer, I was able to secure some from nearby Sallisaw, which are quite tasty. I bought a very large bag of them and in addition to eating them fresh, I’m sure Abby will make a cobbler. Colorful, ripe, nutritious and delicious, the Sallisaw peaches were for sale today in Stratford at the Peach Festival. but I think no onions for me. I love them but find they overpower the other flavors on salads and sandwiches.